← I’m HERE! With a WORKOUT! 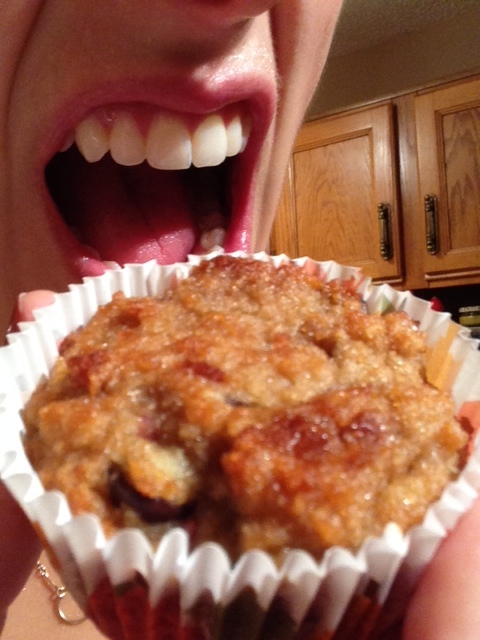 Just wanted to pop in right quick and leave you with a SWEET recipe I tested out last night…and LOVED. Preheat oven to 350 degrees and line muffin pan with liners (don’t just use non-stick spray on the pan…these suckers WILL stick. 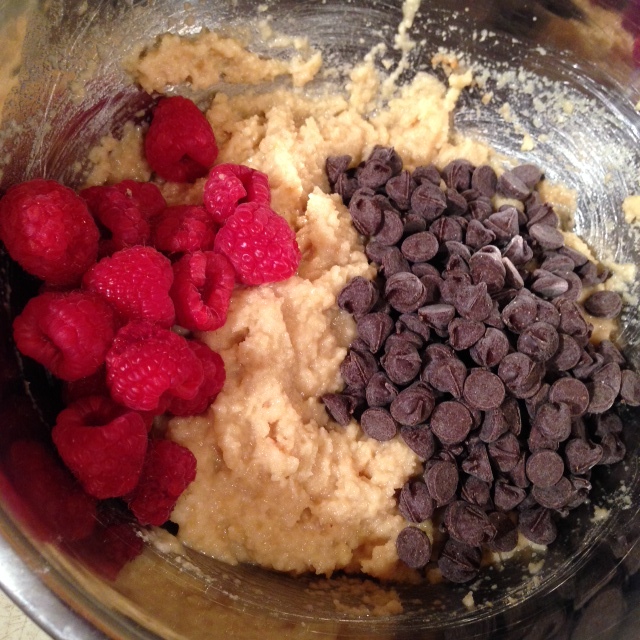 Mix all the ingredients except the raspberries and chocolate chips together in a bowl until well combined. Then gently fold in the raspberries and chocolate chips. Throw in the oven for 20 minutes, turning the pan halfway through. 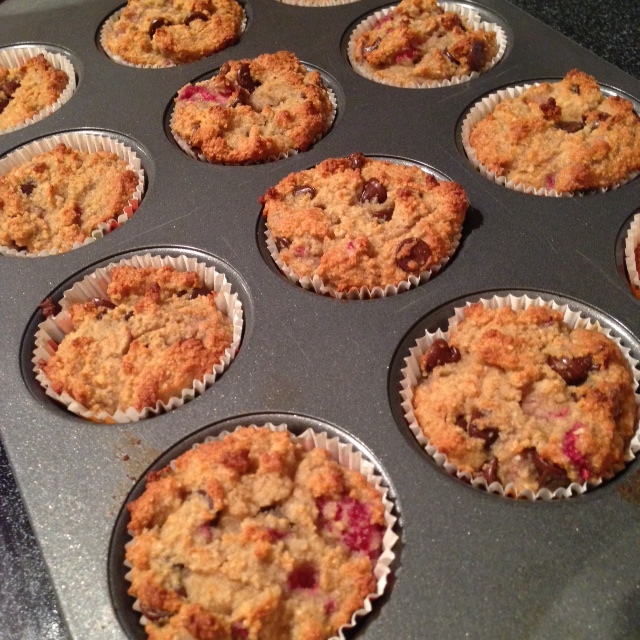 *Note: These muffins will appear to be undone…let them sit in the pan for 20 minutes after you take them out of the oven and allow them time on the counter to ‘set.’ I left mine out overnight and they were PERFECT the next morning. Also keep in mind that because these have different ingredients than your average run-of-the-mill muffin, the consistency will be different…but in a good way! Yum these look delish. I need almond flour stat. chocolate and raspberries…. a winning combination! These look so awesome! Can’t wait to make ’em. Hows work life treating you? I kinda hope you hate it & quit soon because I miss all your internet shenanigans. work life is good- I actually REALLY like my job!! I’m hoping over time I’ll figure out how to best manage a big girl job and stupid-internet-mumbo-jumbo. I think it’ll come to me sooner rather than later!